Branden has been married to his wife Katelyn for over 6 years and they have two children, Cameron and Libby. Katelyn is a small business owner as a Physical Therapist with a focus in women’s health. Together, the Bosch family strives to grow in their relationship with the Lord, values family time, and enjoys living an active lifestyle. 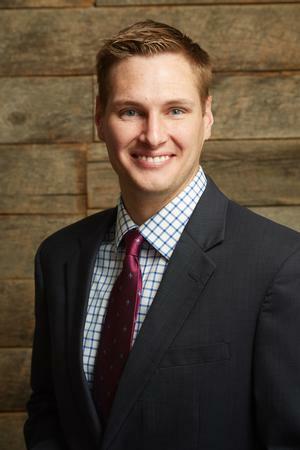 Branden graduated from Liberty University in 2010 with a double major in Finance & Economics. Prior to becoming a Partner with Legacy Wealth Management Group, Branden worked as a Financial Advisor at Merrill Lynch and as a Loan Officer with WestStar Mortgage (now JG Wentworth Home Lending). With over 9 years of industry experience, he enjoys learning the background of his clients and forecasting forward to help them with their needs, goals, and dreams. While studying finance in 2008 Branden lost his grandfather to cancer, which was an experience that financially shook his family’s world. Growing from that experience, he knows the value that an advisor brings to every aspect of the client’s financial world. His desire to be an advisor stems from those events in his own life and has created a desire to help educate others. Not only on reaching retirement, but education surrounding the plans that will keep your family financially sound if the unthinkable were to arise. His desire is for every client to have complete financial peace. Branden works closely with the Lynchburg Life Saving Crew as well as The Exchange Club of Lynchburg. He believes in being an active part of serving in the local church, enjoys being outdoors, and he loves to play golf when the opportunity arises.